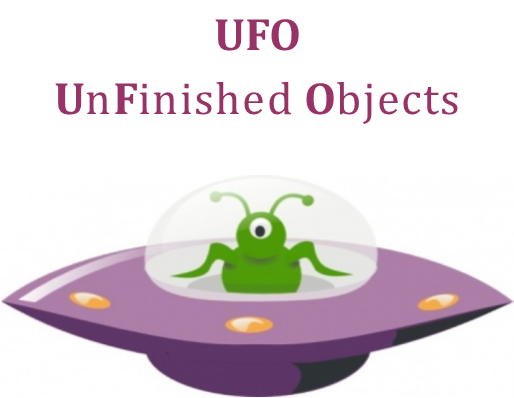 We all have them....UFO's...Unfinished Projects....Let's get together and get stuff done! Bring a project of your choice to work on. I have irons, ironing boards, sewing machines, etc so you don't have to lug yours with you...but you can if you wish. Don't have a sewing project but working on handwork? You can bring that too. Want to work on art instead of sewing? We have room for that too! Get Creative in your own way! Free! Bring your own project.